Lukas Javier De Los Santos was born on Sunday, March 10, 2019 at 4:40 pm. Lukas is the son of Javier and Elsa De Los Santos of Castroville, TX. He weighed 13 oz and was 9 inches long. Lukas gave us a lifetime of love during his short time on earth. We were blessed deeply by the time we had with Lukas while he danced in Mama's womb and made Daddy smile with his kicks and turns. We waited for his birth with hopeful expectations and were honored to hold Lukas close as he passed in our arms and into the arms of Jesus on March 20, 2019 at 4:19 am. His life has drawn us even closer to our Lord and we find great comfort in knowing Lukas was welcomed by His hand. Lukas was a beautiful, sweet baby boy who touched so many lives in such a short time. He is a little brother to Nikolas and Alessandra and will always hold a special place in their hearts. Lukas is loved by many grandparents, aunts, uncles, cousins, and friends. We are very grateful and humbled by all the support and love we have received from family, friends, and our brothers and sisters from the San Antonio Fire Department. Words cannot express the blessing you all have been as we have walked through this journey of grief and joy. 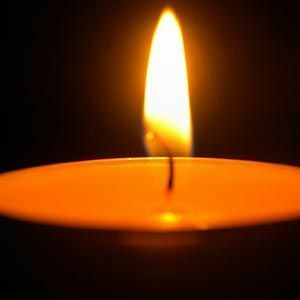 A Celebration of Life Vigil will be held on Saturday, March 30th beginning at 5:00 pm in the chapel at Porter Loring on McCullough Ave.
Chaplain Jerry Whitley will be conducting the Vigil. Add your thoughts, prayers or a condolence to Lukas' guestbook.